FRESNO, Calif. (KFSN) -- Former Fresno State Outfielder Aaron Judge won the 2017 T-Mobile HR Derby Monday night in Miami. 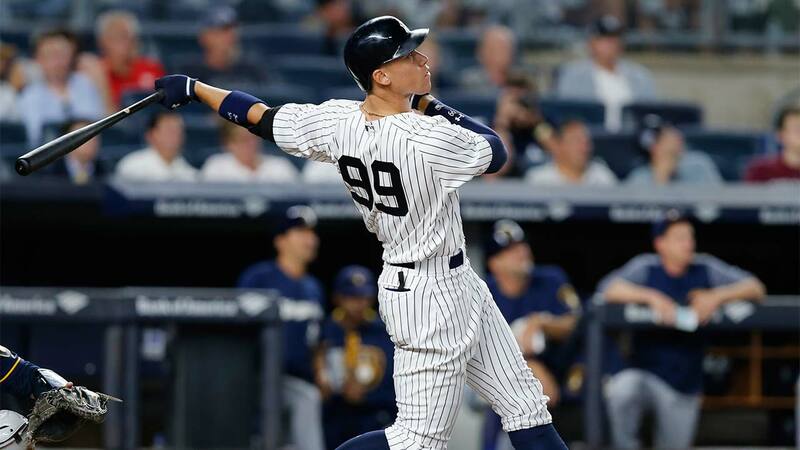 The Yankees rookie looked like he might not have even gotten out of the first round when Miami Marlin Justin Bour wowed the hometown crowd with 22 home runs. That would have been enough to advance in any other round. Judge hit 23 home runs to advance to Round 2. Judge beat another rookie in the 2nd Round. Dodgers phenom Cody Bellinger racked up 12 long balls in the semifinals. Judge hit 13 with just under a minute left to spare. In the finals, fans saw Minnesota Twins Third Baseman Miguel Sano. Sano hit 10 home runs in the final round, losing to Judge's 11. It's the first Home Run Derby for Aaron Judge and tonight he also hit the roof of Marlins Park that didn't count in the First Round. He also hit the longest ball of the night at 513 feet.